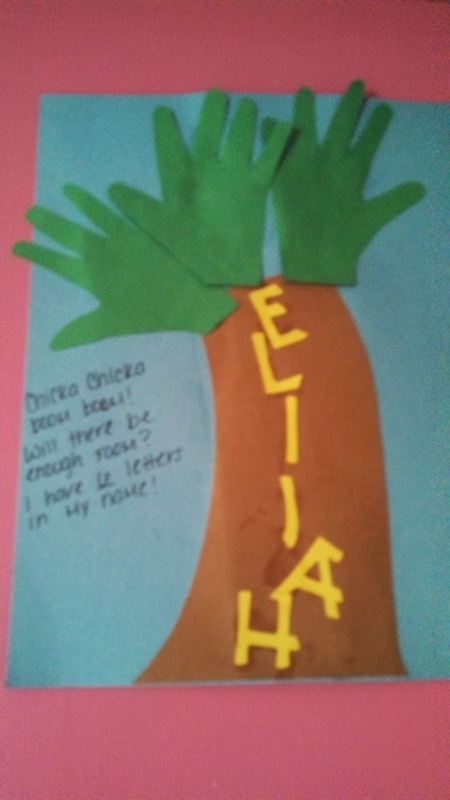 To help get to know our friends in our class, we spent this week learning about ourselves and others. The children discussed how unique we all are but also what we have in common with one another. 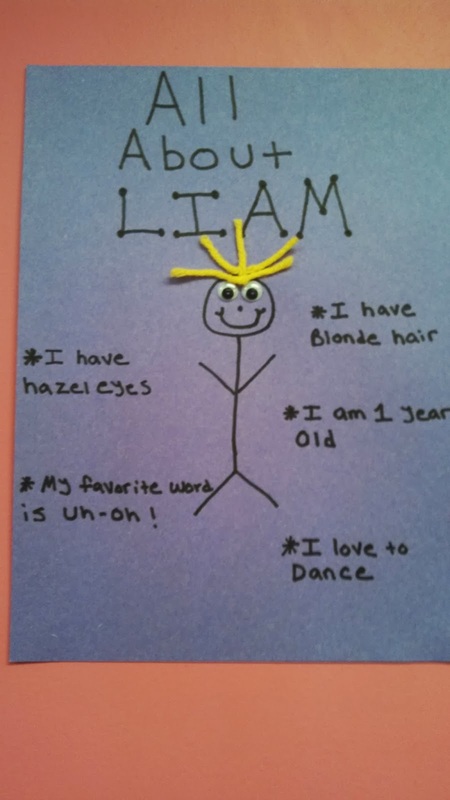 They also did several activities that told others about themselves such as the hair color, age, favorite color, etc. 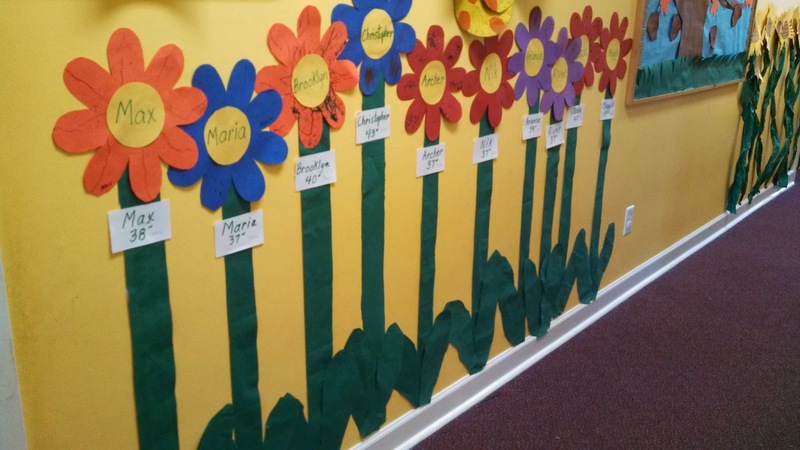 The 3 year olds measured themselves and made flowers to show their heights. They then talked about who was the tallest and who was the shortest. 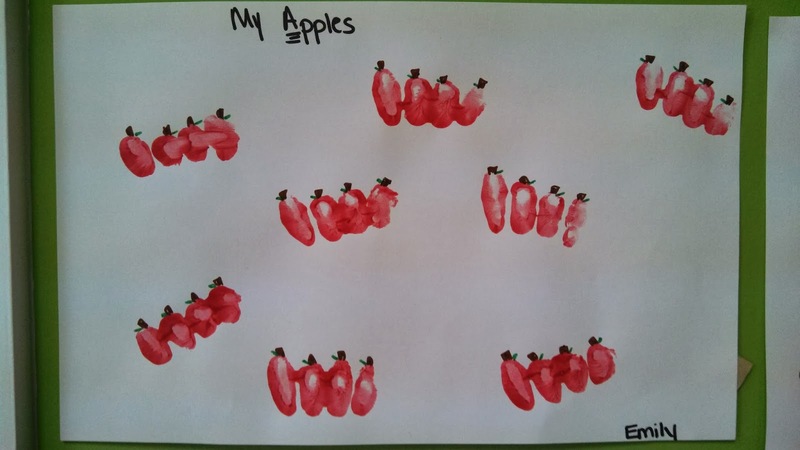 To show how unique each child is, they talked about how all of their fingerprints are different. 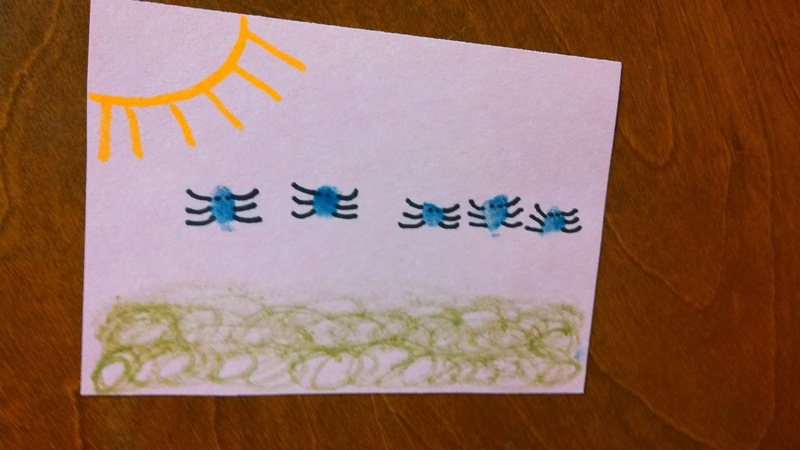 Of course, we then had to turn our fingerprints into beautiful artwork with bugs and apples! 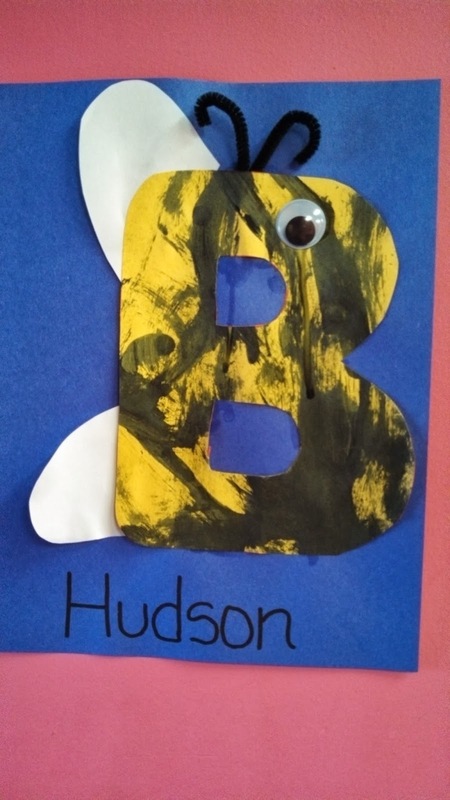 Our letter this week is "B" and we are definitely "buzzing" with activity! It's officially time to start back to school! This week, not only will we learn about our new friends but we will also learn the rules so that we have fun but stay safe! We are also starting at the beginning of the alphabet with our capital letters. 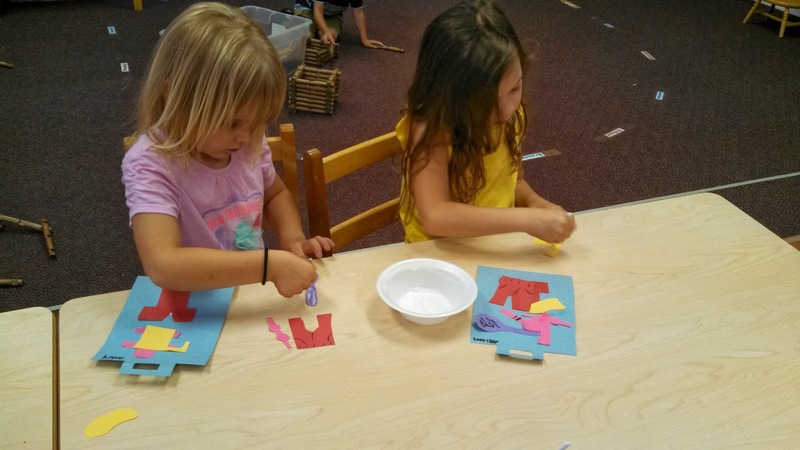 Chicka Chicka Boom Boom is a fun way to kick start our time of studying one letter each week! 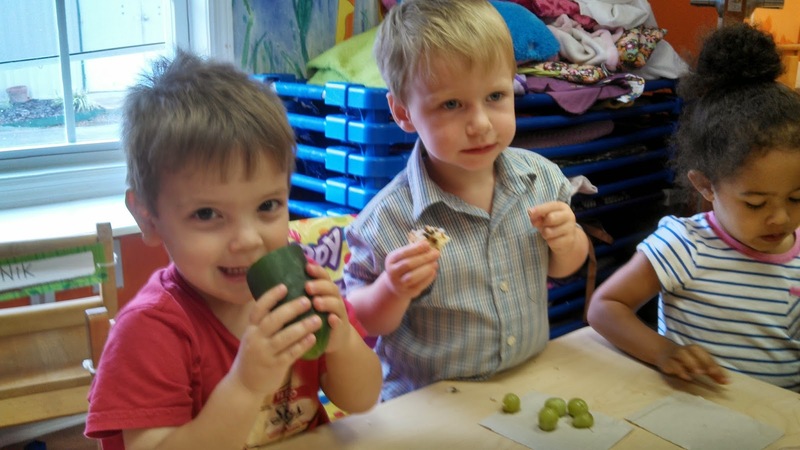 Our color this week is green so the children had fun tasting, smelling, feeling green foods. 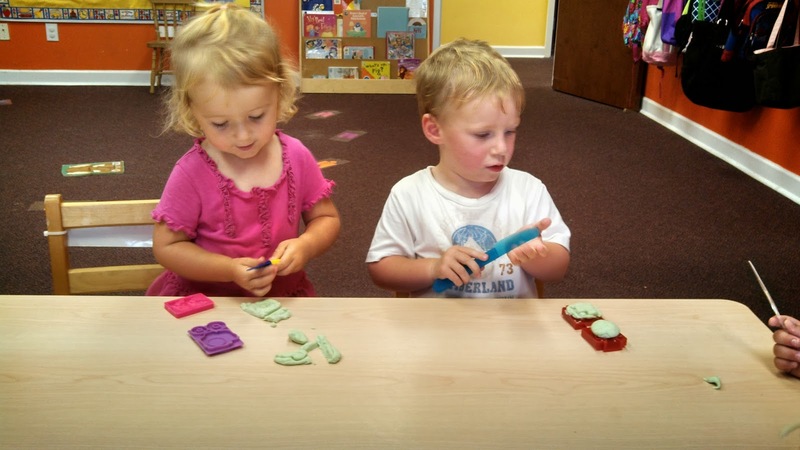 They also made their own green Play-doh to play with! We also discussed having pride in our school this week! 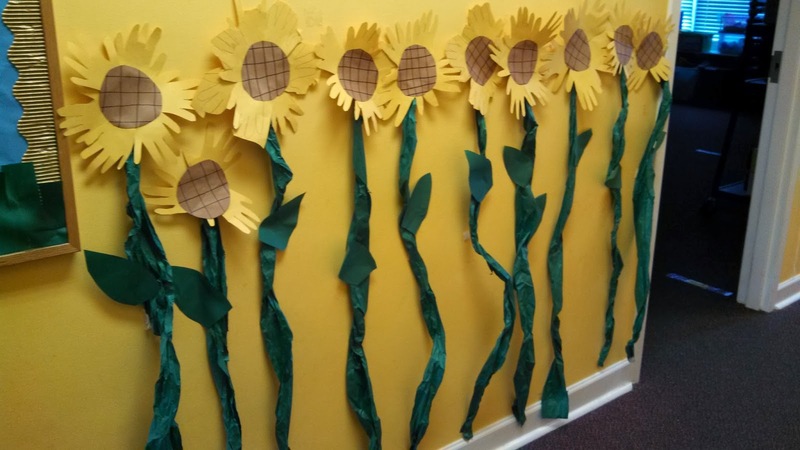 The Pre-K children had fun making their own sunflowers from their hand prints! 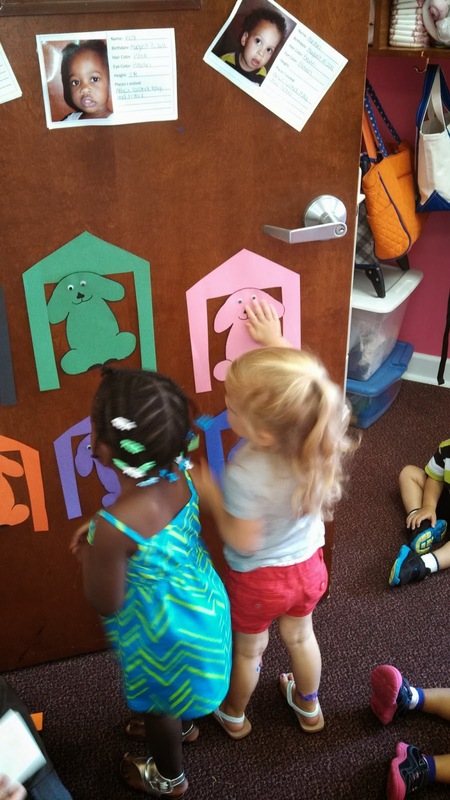 We are looking forward to a GREAT school year at Sunflower Station Preschool! 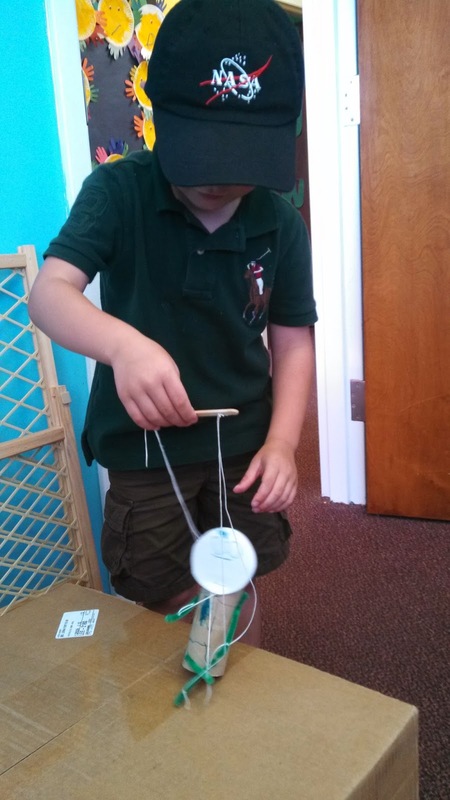 It's the last week of our Summer Program and also one of our FAVORITE weeks! Who doesn't love to play in the water, especially when it's so hot outside?! We even used water for our science experiment to see which objects would absorb the water and which ones would not. 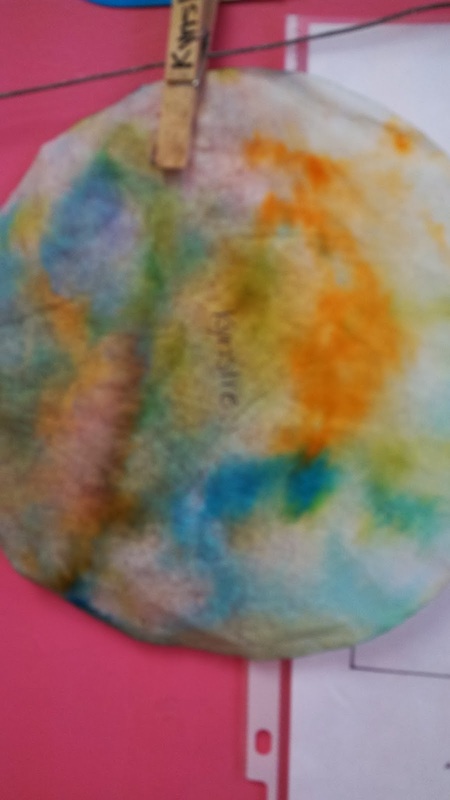 For an art activity, the children decorated a coffee filter with markers and then wet the filter to see the colors run together. They looked very pretty hanging in the window! 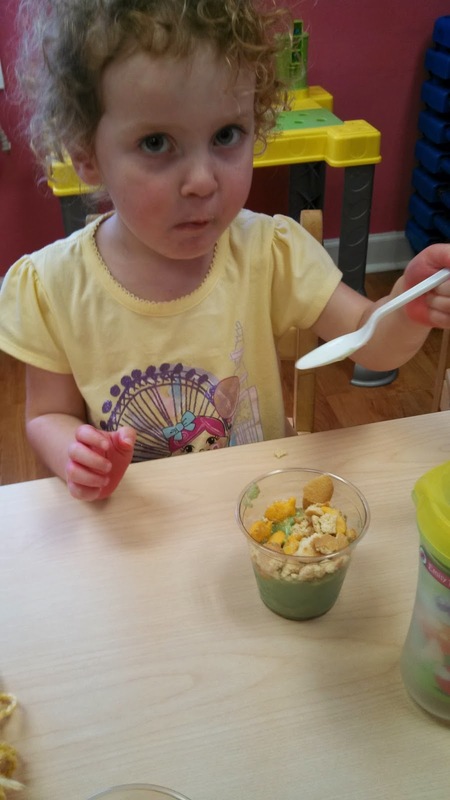 Our cooking project this week was to make a Beach in a Cup. The children made the water from pudding, crumbled Nilla Wafers for sand and then added some goldfish! 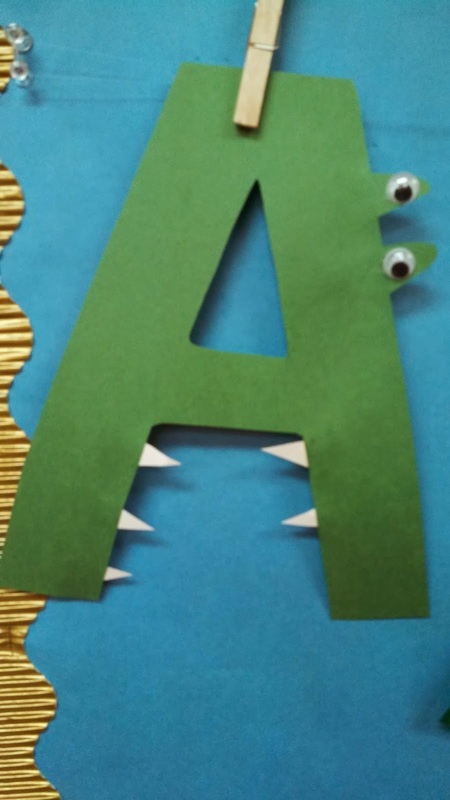 We've made it to the end of the alphabet, just it time! 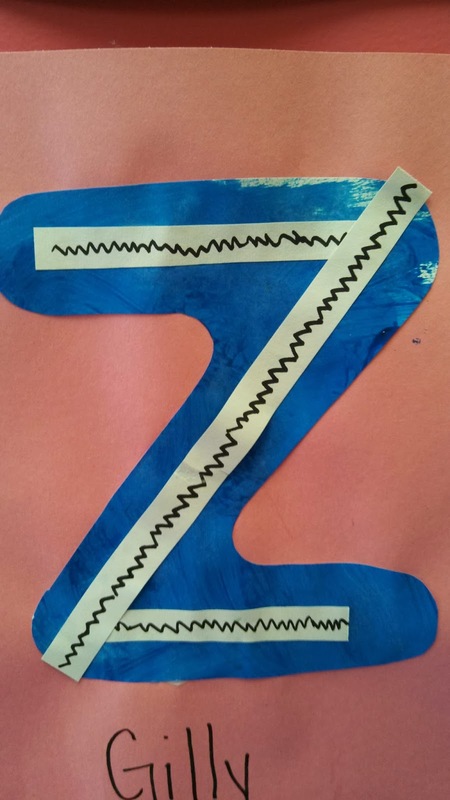 The classrooms decided to make their letters into different objects for the letter "Z". We celebrated the end of our Summer Program on Friday with a Wacky Water Play Day! 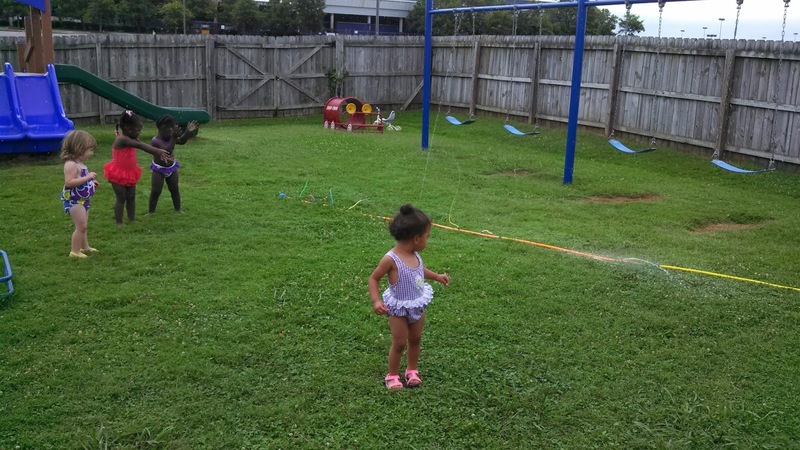 The children had so much fun playing in the sprinkler on our playground! A lot of us have furry friends at home that are absolutely a part of our family! With that being said, it's so important for us to take the time to share about our sweet pets! We also discussed why not all animals make good pets for us to have in our house. 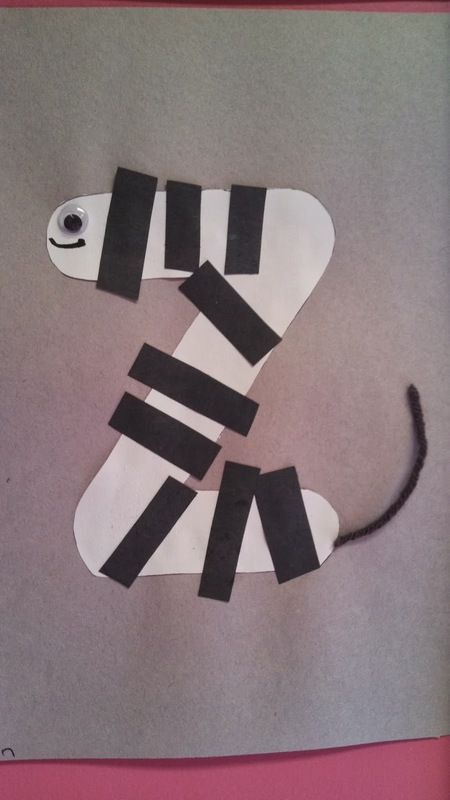 Several classrooms made graphs showing their favorite pet or which pets they had at home. 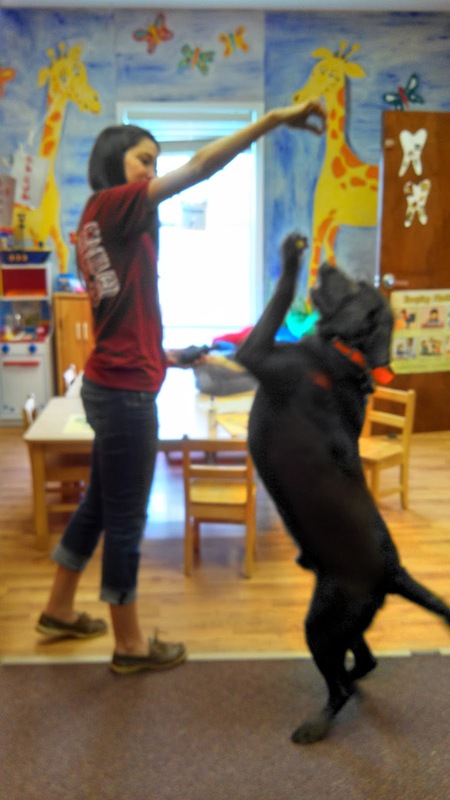 Mrs. Lauren even brought her dog to school one day to show us all of his neat tricks! He was so impressive and we so enjoyed having him as a special visitor. 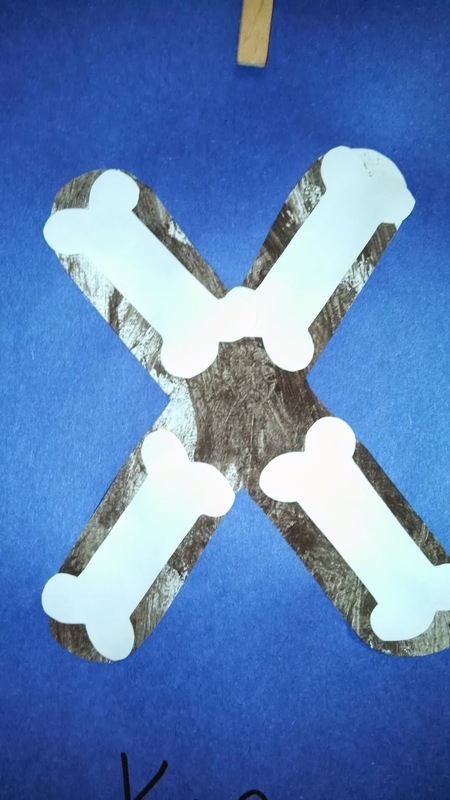 The children also turned their hand prints into pets, did art work with dog bone treats, and participated in a matching activity of putting the dogs into their houses. 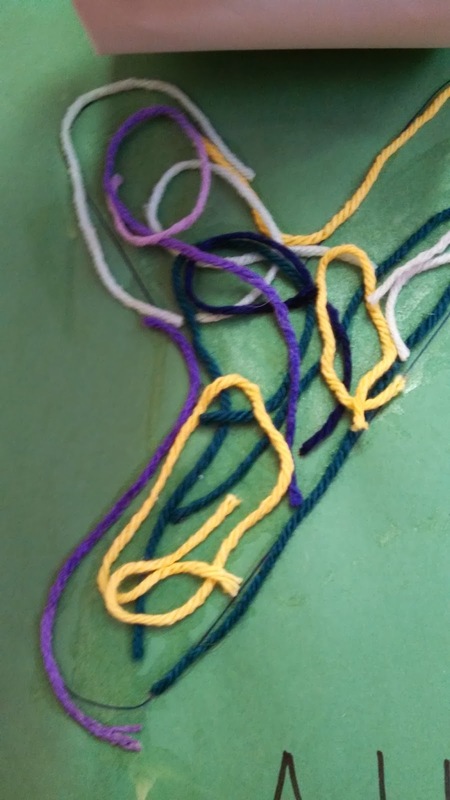 Our letter of the week was y so some classrooms did "Y is for Yarn" while others made their Y a collage of Yellow objects! What a fun week to talk about our pets, who we love so much! Summer is almost over so let's take a vacation! This week, the children pretended to take a trip to various places. First, we had to pack our suitcases! 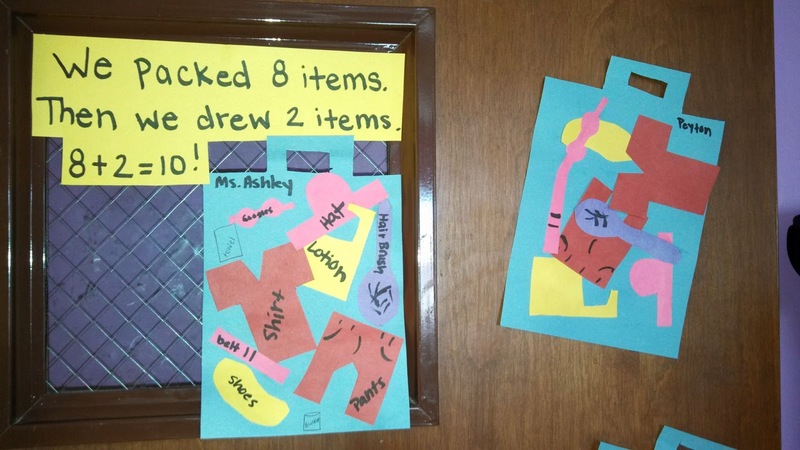 Some classrooms cut pictures out of magazines while others glued on pre-cut items that may be in their suitcase on a trip. 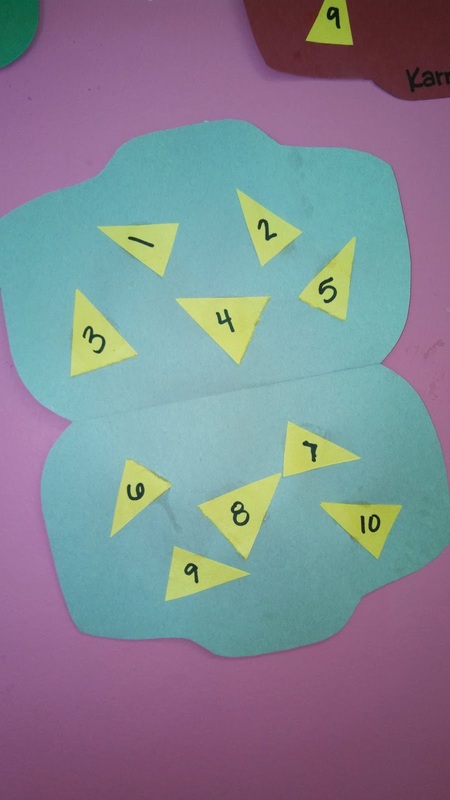 Pre-K then turned this activity into a math lesson with talking about 8+2=10! The one year olds packed 10 triangles in their suitcase to practice the letter and shape of the week. We were then ready to travel the world! For our cooking project this week, we made Crepes like we might could taste in France. We learned about the different animals you might see in Africa if you went on a safari! 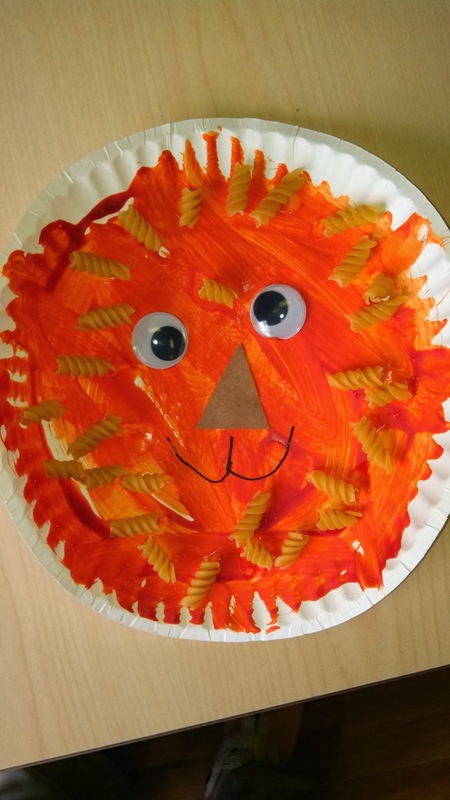 One classroom made their own lions! 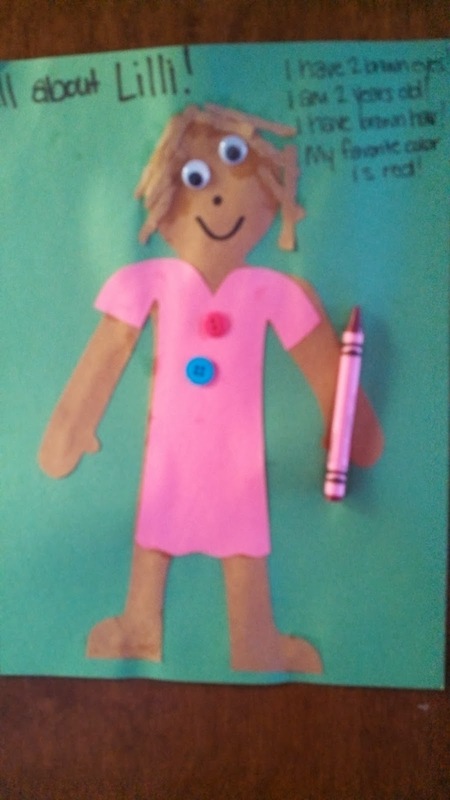 In Italy, the children made puppets and enjoyed making them dance! Even in the midst of all our traveling, we still took time to learn about the letter "X"!